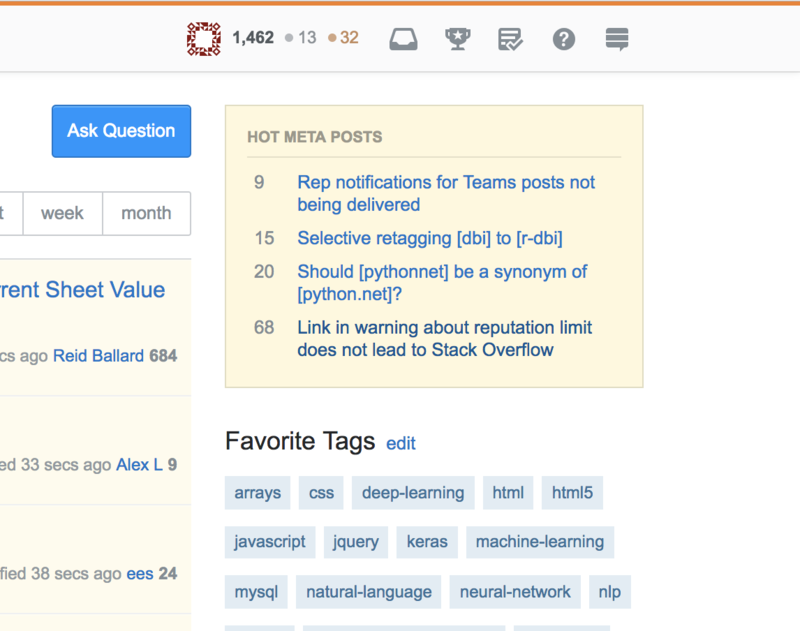 Why isn't there a button dedicated to going back to Stack Overflow from Meta Stack Overflow? I get that the yellow rectangle gets people engaged from SO to MSO but once you've clicked on a link it's not obvious how to come back (from the interface). I'm aware of the Stack Exchange Icon > Stack Overflow path, but I'm curious what's the idea behind not making it obvious (like somewhere in the sidebar). 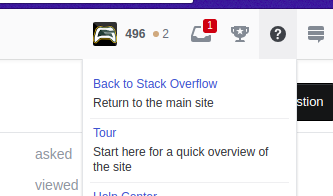 All you have got to do is click that button, then "Back to Stack Overflow"
and click on the Stack Overflow icon. Not the answer you're looking for? Browse other questions tagged discussion meta user-interface . Maybe move the “Back To Main Site” button out of the “help” dropdown? How do I remove myself from a chat? Do unrelated keywords in the careers bar and footer hurt Googlers, and can we fix it by not serving them to the Googlebot? Can the old Open Source Advertising posts be updated? Should the Stack Overflow app show other SE achievements?